This caravan started life as Leyland 32 seat front entrance bus, numbered 41. It was built in 1931 and belonged to County Motors. The 41 would have been a regular performer on the Huddersfield – Waterloo – Kirkheaton – Mirfield – Dewsbury service running from the depot at Waterloo [now Yorkshire Tiger] Buses on this route were known locally at ‘The County’, ‘Yorkshire Traction’ or ‘The Tracky’. 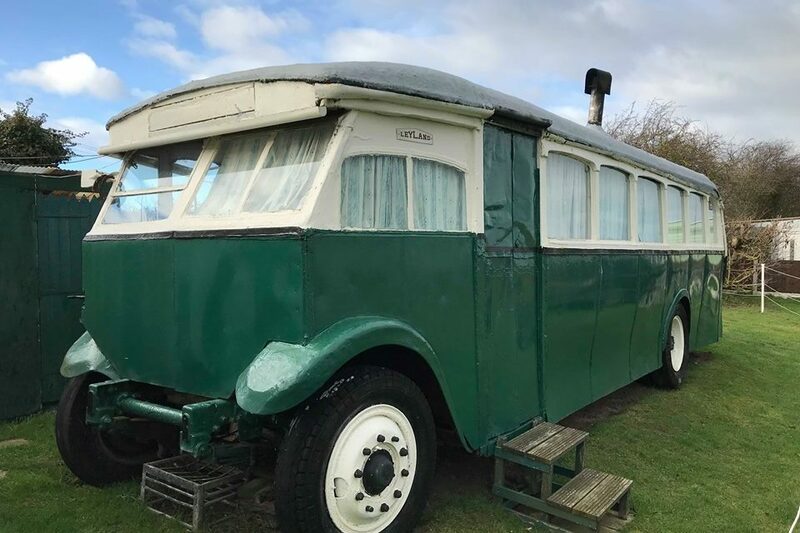 In 1942 it was commandeered by the War Department and later was converted into a caravan in North Yorkshire. 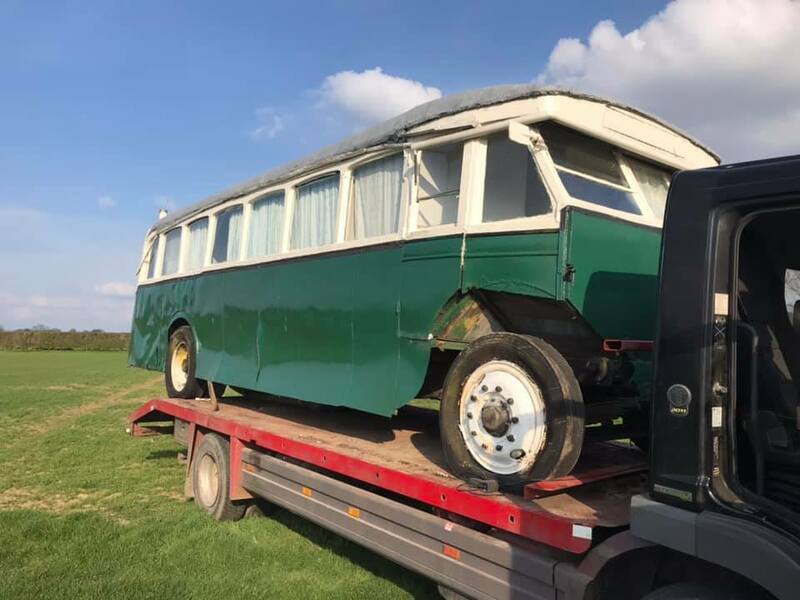 It is in poor condition having been a caravan for 50 years. The engine & gearbox are missing but it has now been acquired by Richard Cleggs of Crow Edge for preservation. 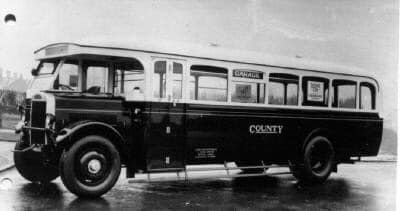 There are three other County buses in preservation.